In his recent article, “Specialized Nationwide Credit Reporting Agencies: MIB Group“, Pittsburgh Consumer Lawyer, Stephen Otto discusses MIB, a lesser well known Credit Reporting Agency (CRA) than the big three, but just as important. Any CRA that has information (or misinformation) about you is important, since the information that they have can affect whether or not you obtain credit, get hired for a new job or can obtain insurance. Another of the specialized CRA’s is Dun & Bradstreet (D&B). D&B is not a new company and you have probably heard its name before. In business for over 150 years, D&B boasts that its commercial database contains more than 130 million business records. If you are a small business owner there is a very good chance that D&B has a credit file on you and you may be surprised to find out the type of seemingly unimportant data that it may contain. Ever had to chose whether to pay one of your vendors on time or to pay your business telephone bill late? If you choose the vendor and were slow to pay the phone bill, chances are that the phone company has reported that slow pay to D&B. Or maybe you forgot to pay the electric bill for your store and got a disconnect notice? Well if you did, the odds are that Ready Kilowatt probably let D&B know. So why is D&B so important? 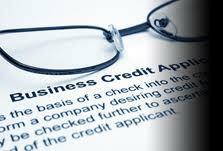 Because, with the current credit climate, lenders are beginning to look not only at a small business owner’s personal credit report, but also at his D&B credit report in deciding whether to extend credit to the small business or whether to reduce a line of credit that the small business might already have. If you are interested in knowing if D&B has a credit report on your business, you can go to the D&B website and try entering your company name and your own name.